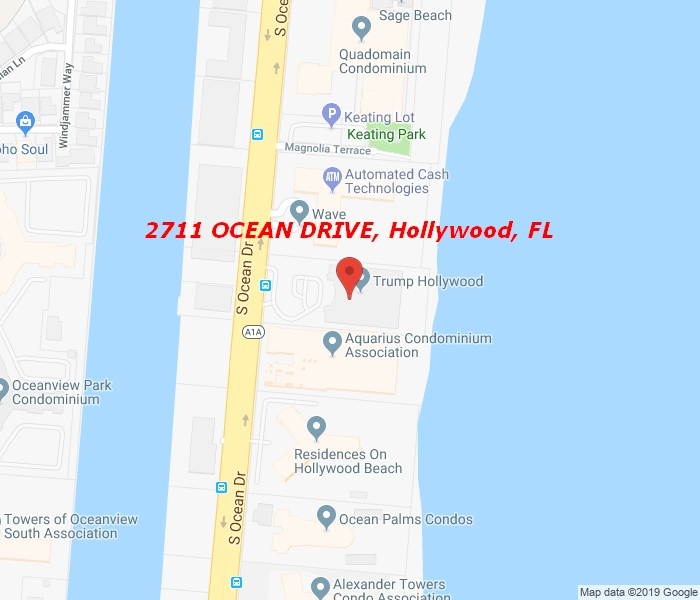 Amazing flow through unit at Trump Hollywood, with Ocean and Intercostal views. Private elevator entrance, foyer, 3 bedrooms, 3 1/2 bathrooms, gourmet european kitchen, auto shades. FULLY FURNISHED. Amenities include complementary breakfast room, wine and cigar lounges, fitness center, spa, sauna, massage room, movie theater, party room with caterers kitchen, pool service, pool side restaurant, beach service, 24 hr security, valet parking and much more. Easy to show.